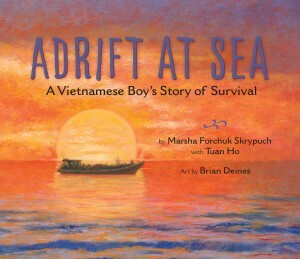 “…Adrift at Sea tells this difficult tale with a direct honesty that creates an opportunity for accompanied discussion, especially for some younger readers. Skrypuch maintains a strong sense of hope throughout, demonstrating the true strength of young Tuan. It is also a powerful story for all readers in light of the Syrian refugee crisis, providing an accessible way to build empathy toward newcomers to Canada. 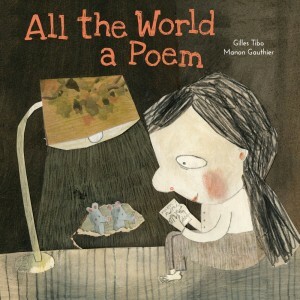 “…All the World a Poem is a poetic picture book that immerses the reader in a world or words and wonder….From the moment this book is opened and a kaleidoscope of butterflies greets you, you are immediately transported­ – almost as if on the wings of said butterflies…. “Malini, a young Sri Lankan girl, is tasked with protecting a bullock cart carrying a load of rice seedlings that will feed her entire village for a year. Malini is eager to accept this responsibility, but when it starts to pour rain, she must make a difficult decision: protect the rice crops or save herself. 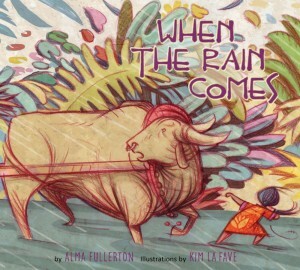 This moving story of courage from award-winning author Alma Fullerton is told in lyrical free-verse and the sounds of the impending storm and Malini’s narrow escape with the rice cart come alive through onomatopoeic description. Kim La Fave’s dream-like illustrations imbue Sri Lankan life with a sense of magic, bringing Malini’s seemingly impossible heroic task within the realm of possibility. An explanation of the harsh realities faced by many Sri Lankan citizens at the story’s end highlights that life in Sri Lanka is often far from magical. 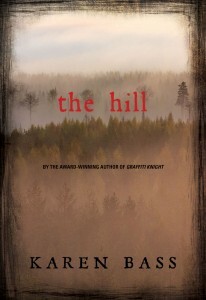 The story reads like an encyclopaedia of friendship with each good act from a friend provoking another. The warm, detailed illustrations evoke a comfortable small-town charm, sure to entice readers to visit Toadstool Corners again and again. The book also does a nice job of highlighting everyday texts within the narrative, including lists, invitations, and newspaper articles, which could prompt discussion about the importance of reading and writing in daily life. A simple apple recipe at the end of the book should inspire many readers to host apple festivals of their own. 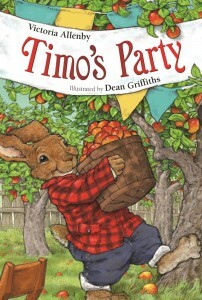 Depicting acts of courage, selflessness, and kindness, Timo’s Party is wholly designed to support its readers’ character development. While certainly not flashy, this latest iteration of Timo and friends offers another gentle and useful tale about the power of friendship. “With the arrival of Syrian refugee families in many Canadian communities, parents and children alike are charged with trying to understand the harsh experiences these new classmates and neighbours have undergone. The compassionate and beautiful new picture book from Oakville, Ontario, illustrator Suzanne Del Rizzo – the first for which she has created both pictures and text – imagines a Syrian child and his family driven by war into a refugee camp. While the others settle into the new realities of life in the camp, sensitive Sami is unable to recover, expressing his trauma through grief for the pet pigeons he had to leave behind. He tries to paint a picture of his pigeons, but covers their coloured feathers with smears of black, then tears the painting to pieces. 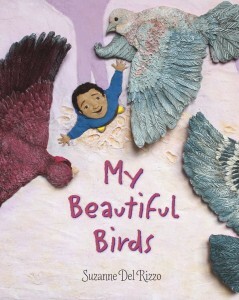 When four wild birds fly into the camp and respond to Sami’s attention, they break through the little boy’s isolation and misery. By the end of the book, Sami has reconnected with life, and is even able to reach out to help a new child arriving at the camp. Brian Deines’ subtle double-page oil paintings add greatly to the mood and text of this story. There is also an historical and biographical section at the end of the book which explains the conditions in Vietnam in 1981 and what happened to Tuan Ho’s family as they made a new life for themselves in Canada. Tuan has become a very successful physiotherapist and now has a family of his own. This book is very timely as we have so many refugees from war torn countries in the Middle East now attempting to make their way to a better life under the same kind of conditions that the Vietnamese people experienced back in 1981. 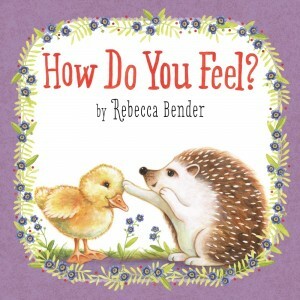 With so many refugee children attending schools in Canada now, books like this one can help young children appreciate what some of these children have experienced and develop an empathy for them as they integrate into Canadian society.